Back Row: Mr McKenna, Graham Butters, Steve Temple, Michelle Williams, Gillian Thomasson, Annette Lacey, Debbie Trattles, Elaine Boocock, Lorriane (Lucy) Jefferson, Jayne Orange, ?? . Middle Row: Wendy Dooley, Richard Jefferson, Mark Yeoman, Karen Marsay, ?? , Susan Morrison, Ron Atkinson, ?? . 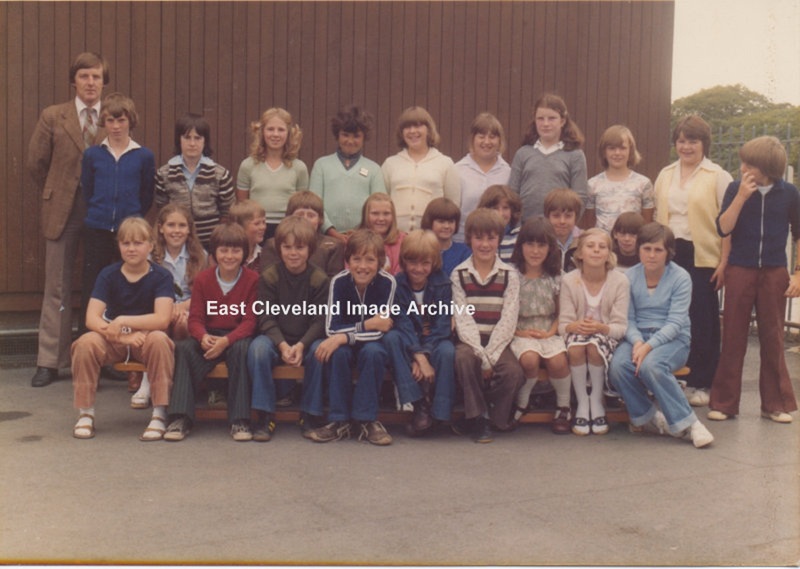 Front Row: Michelle Burns, Steven Hill, Martin Ellwood, Andrew Sharp, Wayne Smith, Paul Harland, ?? , Angela Dixon, Sarah Jane Cottle. and Margaret Atkinson for names to date. Can anybody help with the missing ones?